Sweets and Treats in Natural North Florida! There really is no place hotter in Florida than the North Florida region, particularly inland where the sea breezes have long since dissipated and there’s nothing to cool us off except the hope of an afternoon rain shower- and even then, it’s a trade-off between baking in the sun and steaming in the rain’s sticky, humid aftermath. Either way, I’m cooked- and in that case, I may as well be a la mode! 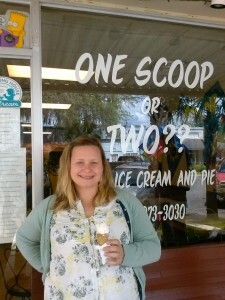 Here are my three favoritest of favorite ice cream parlors to top off a sweet summer day! Me enjoying my scoop of Granny Sherrill's Carrot Cake! Yummy pies at One Scoop or Two? salted Spanish nuts and caramel bourbon sauce, and Risky Business (chocolate and pecans dusted with cinnamon.) I chose Granny Sherrill’s Carrot Cake and loved every bite! I was also delighted by the selection of sorbets and sugar-free options- it’s nice to see local shops being so accommodating. 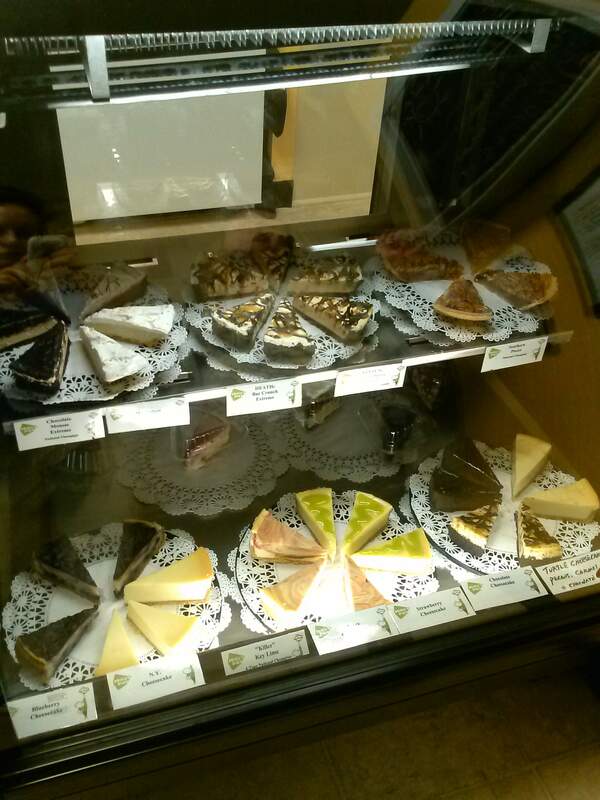 I didn’t sample any of the pies or cheesecakes, but they looked amazing and my companions were raving about the slices they ordered. Happy Days Old Time Soda Fountain. 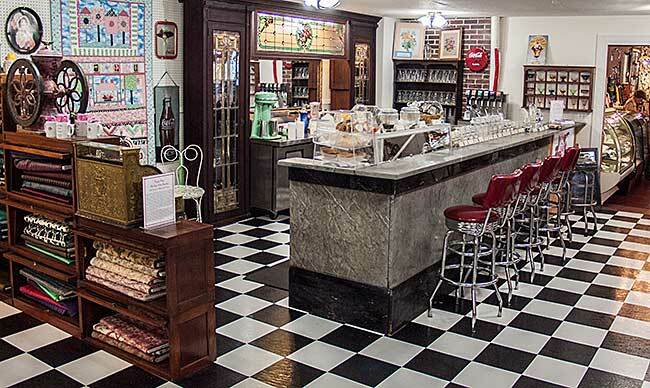 Located inside the Suwannee Valley Quilt Shoppe in Trenton, this is a true soda fountain complete with checked tile floors and original marble countertops. I can’t resist classics like banana splits and chocolate malts when I’m in a retro setting like this- all that’s missing are my bobby socks and saddle shoes! A perfect stop after a day splashing at Manatee Springs, but give yourself a little time to browse the shop when you’re done. 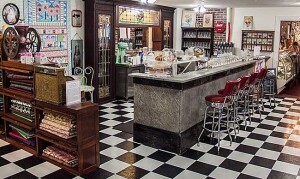 Love the tile floors at Happy Days Soda Fountain! 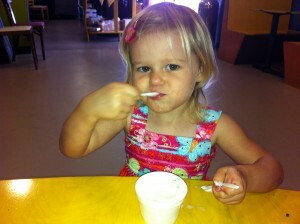 Milliebug enjoying her scoop of Birthday Cake! 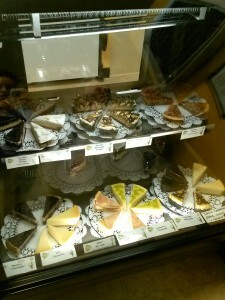 was enough to brighten my day, and maple walnut, a rich little number heavy on the maple- it was soooo good! I love Sweet Dreams’ themed nights- two chocolate nights a year featuring 30+ different chocolate flavors (which Milliebug sweetly calls “cholacolate!”) and their Crazy Flavor night, with offering like sweet sticky rice and lychee, and usually held mid-summer, so stay tuned! We regularly enjoy evening strolls to the original location, although Eastside is a fun destination stop for the play area. 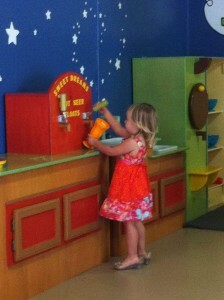 Serving up root beer floats in the play area at Sweet Dreams Eastside. Wherever you beat the heat this summer, make sure to indulge in some sweet treats!